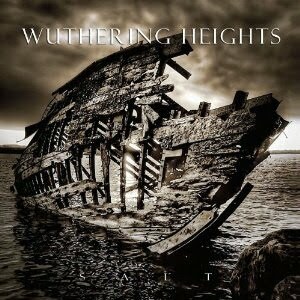 Hall of the Mountain King: Review: Wuthering Heights, "Salt"
I remember being asked to review a Wuthering Heights CD a few years back for Teeth of the Divine, and I remember two things about that record. First, the Emily Bronte-inspired band name that wouldn’t really entice me to pick it up otherwise, and second, that I didn’t really care for it much. I guess things can change in a few years. I initially passed on an offer to review their latest, “Salt,” for Teeth, but decided after reading Erik Thomas’ review of it there to give it a chance. I’ve been pleasantly surprised. 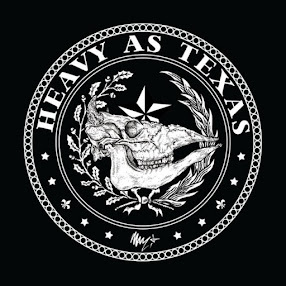 First off, there’s a definite nautical theme to this record, beginning with brief opening track “Away!” It opens with chants of “row, row, row” and moves quickly to a power metal number that has shades of a couple of my favorite discoveries of the last five years or so – Kiuas and Alestorm. After that quick, fun track, things start to get a little more complex and involved. Second track “The Desperate Poet,” goes through a number of movements ranging from some thick, galloping riffs to jaunty seafaring sounds to traditional power metal. There’s also a nice slower interlude in the middle. “The Mad Sailor” opens with a kind of trippy echoing bass effect from Teddy Moller with the guitar volume swells coming under it. A heavy folk metal influence comes in with the vocals of Nils Patrick Johansson. That’s followed by plenty of piratical vocals and melodies, including an accordion piece. While it doesn’t quite reach the level of fun of an Alestorm tune, it’s still one of my favorites on the record. The best thing that “Salt” brings to the table is the variety of sounds the band uses, sometimes in the same song. Sure, there’s some typical power metal here, like the opening of “The Last Tribe,” but in that same song, you’ll get a darker piano-driven piece on the verse with some over-the-top elements that remind me a bit of Pink Floyd or Queen. There’s also another fun, piratey piece with traditional instruments toward the middle and some insane shredding toward the end. “Tears” delivers one of the catchier choruses with a nice galloping melody punctuated by brief bursts of a heavier sound and gang vocals. There’s a strong traditional metal feel on the opening of “The Field,” which has another very heavy and very cool folk influence. “Water of Life” is a sing-along sea shanty with some very impressive acoustic guitar work, though Johansson perhaps goes a little too over the top with his vocals. And the record ends with a 16-plus minute epic that ranges from soft ballads to raging thrash. I think the “epic” song is a little overrated in power metal, but for the most part, I enjoy this one. Maybe it’s because Wuthering Heights has gotten better since the last time I heard them, or maybe it’s just because I’m a sucker for pirate-themed folk metal. Either way, I really like this record and heartily recommend it to all ye salty dogs.